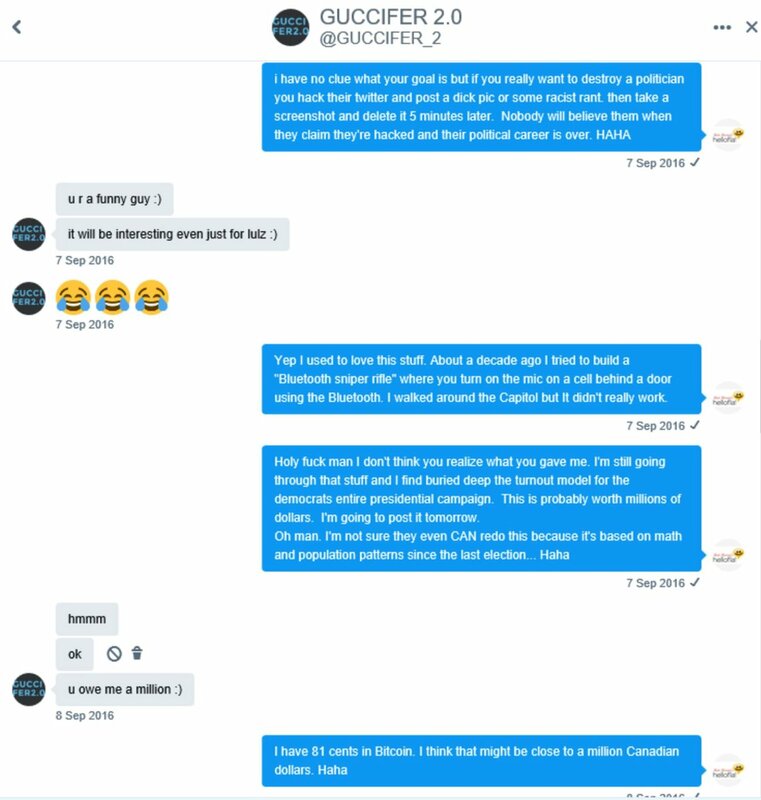 Note: Hannibal Moot of BullTruth Magazine has pointed out that the screen captures below have the same anomaly in them as was observed in Robbin Young's DMs. 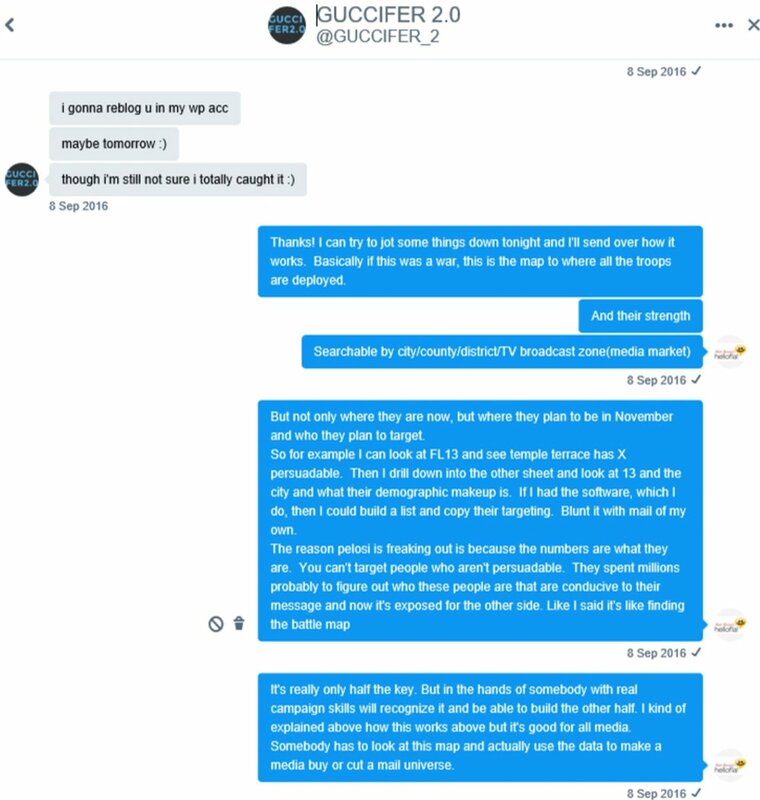 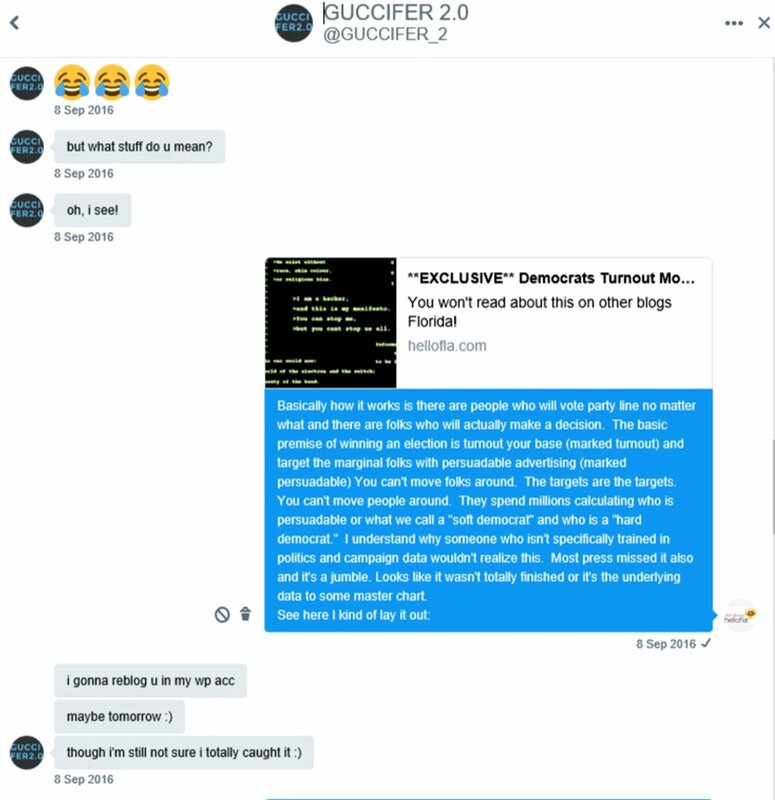 - Read the article: The Guccifer 2.0 Chat Hoax Part 3 for more information on this. 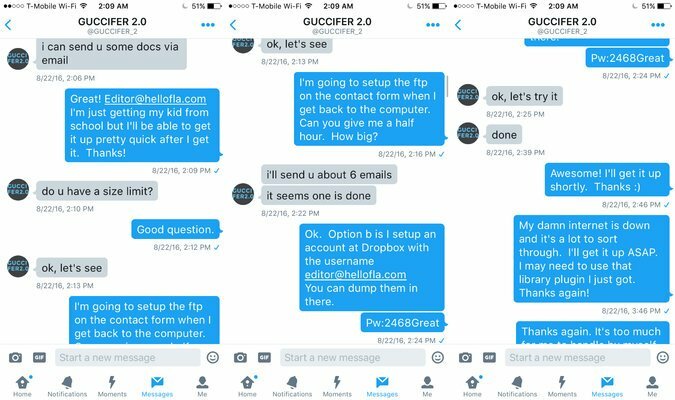 This does not not necessarily discredit the DMs below though, as it is possible this may have been caused by a legitimate process.